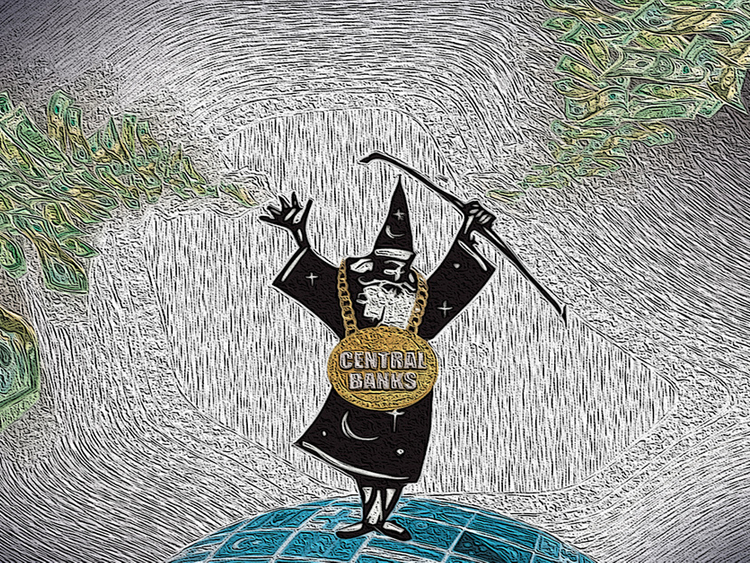 London: Central banks can create money. That gives them the power to move markets — and with them, the terms of trade between the world’s economic blocs — with only a few words. They maximise their power by controlling expectations. It is not just their actions that count. It is ultimately through levels set by markets — for exchange rates, commodity prices and bond yields — that central banks exert their power. Markets tend to overshoot when they hear news. That helps central banks, when they want a jolt, but creates problems when they want calm. Two central banks have given bravura examples of expectations management. On Wednesday in the US, the Federal Reserve halted its bond purchases (known as ‘QE’) with nary a whisper of discontent. Markets were prepared, and calm. Then the Bank of Japan did the opposite, stepping up its already aggressive bond purchases and taking the market totally by surprise. Buying bonds is a way to force down their yield, and weakens a currency, because foreigners will earn less by parking their money there. This helps exporters, who are crucial to Japan’s economy. In the short term, both banks got every¬thing they wanted. US rates remain very low, but no longer signal the economic panic that they did in mid-October, when the 10-year yield briefly dropped to 1.86 per cent. It is now 2.3 per cent. And of course the S&P 500 stock index has touched an all-time high, after quite a round trip. In five weeks it fell 9.8 per cent, and then rebounded by 10.8 per cent. As for Japan, the BoJ successfully took the yen out to the woodshed and shot it between the eyes. The yen is now its weakest against the dollar since the first week of 2008. It has fallen 32 per cent since 2011. A weaker yen continues to translate directly into a stronger Japanese stock market. The BoJ’s action smacked of desperation. Agreed only by a 5-4 majority of its governors, it was an almost universal surprise. The strengthening dollar, thanks to the end of QE in the US — it is now up 10 per cent since the summer against its main trading partners, a huge shift in the terms of trade — should have taken the pressure off the BoJ, while Japanese core inflation, currently its highest in two decades, was also moving in the right direction. But Japanese inflation was lifted by the consumption tax that was levied earlier this year. Underlying inflation left the BoJ feeling compelled to act. By taking the market by surprise, it gained far more bang for its yen. As the response by share prices shows, markets like QE. But the broader perspective is alarming. Sharp shifts in currencies are perilous, particularly when so many different countries attempt to perform the same trick at the same time. The message of the gold price, now at its lowest since 2010, and down 39 per cent from its peak back in 2011, is also disturbing. It suggests that fears that renewed money printing by central banks will spur inflation have receded — but only to be replaced by a belief that the central banks cannot avert a slump and deflation. The dollar, and the US economy, are not just the strongest in a group of weaklings; gold suggests that traders expect the value of the paper currency to strengthen against hard assets — which implies deflation. A less noted move by a less heralded central bank, in Russia, shows further risks. Russia depends on its energy exports. The tanking price of oil has led to a collapse in the rouble, down 24 per cent against the dollar this year. This raises the risk of entrenched inflation, which is running above 8 per cent. So its central bank raised rates by 1.5 percentage points to 9.5 per cent. That drove a brief spike in the rouble — which was immediately reversed. Meanwhile, currencies of “fragile” emerging markets with high current account deficits are also weakening again, as they did when the Fed first prepared to end QE last year. Now comes the European Central Bank. The ECB has tried to avoid big asset purchases, but the pressure on it to do so is rising. The October scare was driven in large part by fear that the ECB would not do what was expected of it, and buy bonds. What will it do now? Bouts of market turbulence betoken unease, even if swiftly reversed. Last week showed central banks’ power to move markets. But an all-time high for the US stock market is a dangerously exposed bet that central banks can shift not only markets — everyone knows they can do that — but also the global economy.